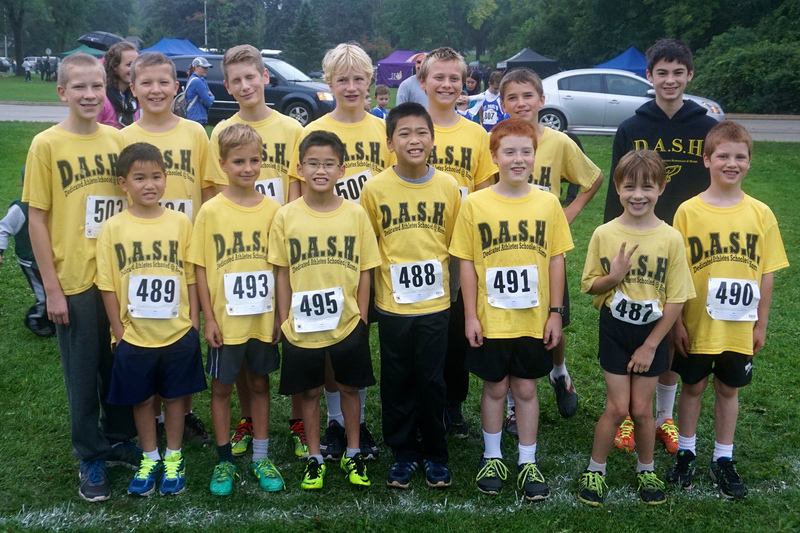 The DASH middle school team competed at Brookfield Academy last Thursday on a warm, windy day. 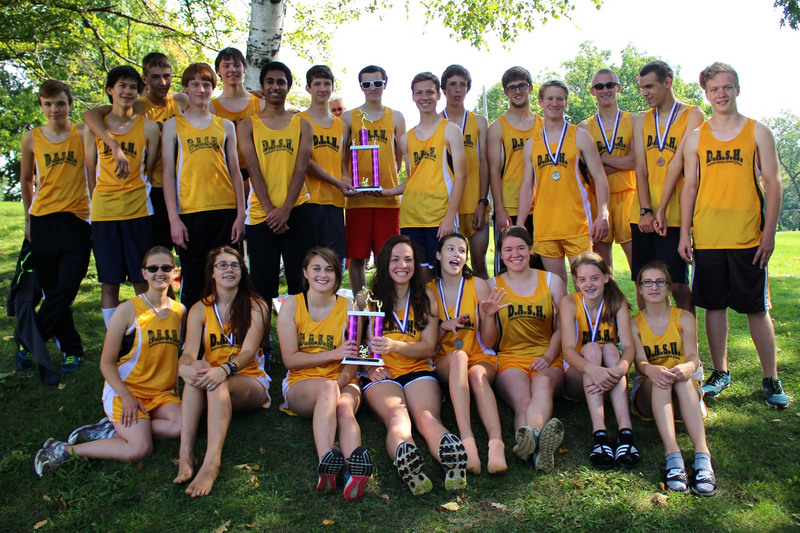 The meet was much smaller this year, only eight teams, so the athletes did not have much of a break between events. 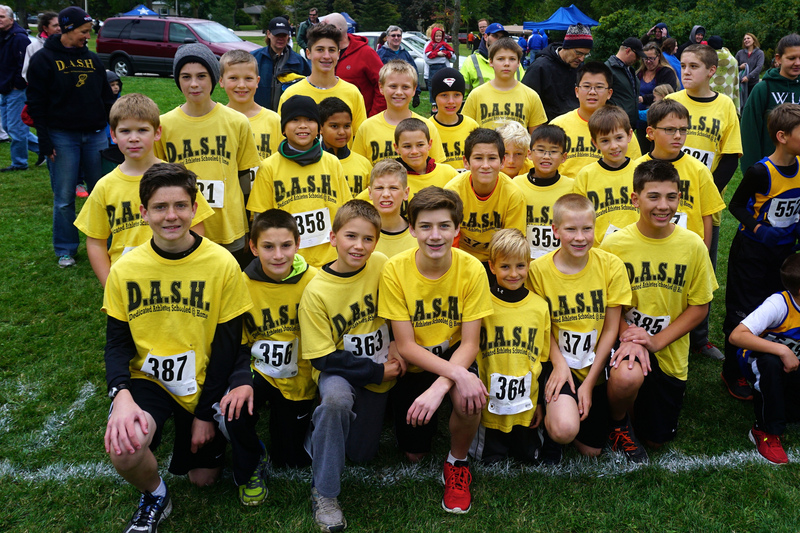 Nonetheless, we had a great day with the DASH yellow being seen crossing the finish line ahead of the competition continually throughout the day. The hurdles were first, an event we do not get to practice. The athletes competing would have to let there natural ability help them this time. Grace Zinkgraf and Glenn Kaboskey both handled the hurdles well to post good results. Makayla Gergeni got off to a great start, with the hurdles hardly slowing her down. 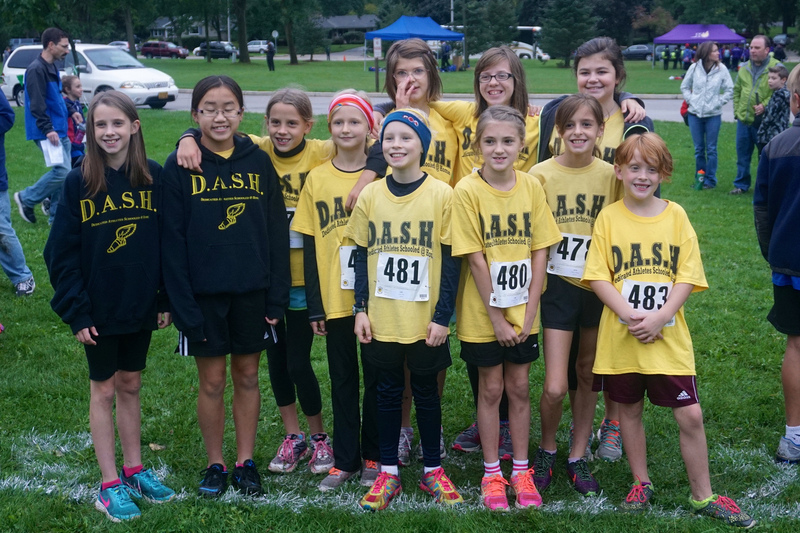 She never let up and was the first to cross the finish line giving the DASH team its first victory of the day and setting a new DASH record in the process. In the 100 meters Andrea Guidone again showed her speed by racing to a second place finish. Danny Wickman looked strong in his race and took third. Amelie Kemmann was to be in a class by herself on this day, finishing with a big lead for another DASH victory. Abigail Larkin got the team off to some good running in the 800 meters. She beat Faith Caspers to the line with some hard running with the two of them coming in first among the 5th graders. Andrea Beck took control of her race from the start to post her best time of the year. Andrea Kempf was the next to finish giving us a great 1-2 finish. Zipporah Caspers effort was good for 2nd place in the 7th grade race. DASH newcomer Britten Kostrzewa ran in the lead almost the whole way before settling for second place. We may have a new DASH star. 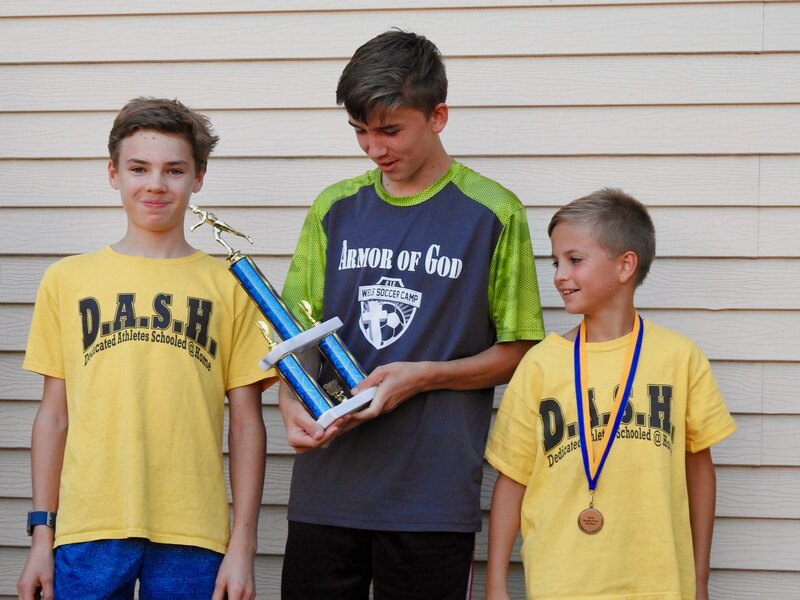 Ransom Nyhart was in his last middle school race and he made the most of it with his big victory in the 800 meters. 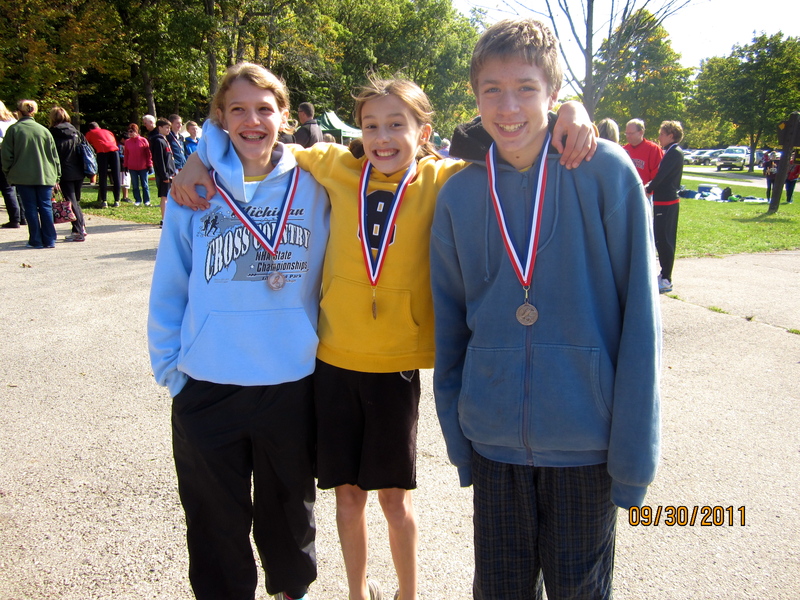 Matthew LeSac was to come in third just ahead of Christian LeSac who claimed first place among 7th graders. Samuel Zinkgraf also had a strong finish in his 800 meters. The 200 meters was next and in the first heat Kayla Walters and Mia Wickman were ready to run fast, giving the DASH team impressive first and third place finishes. Danny Wickman put on another great surge at the end of his race to leave everyone behind him. 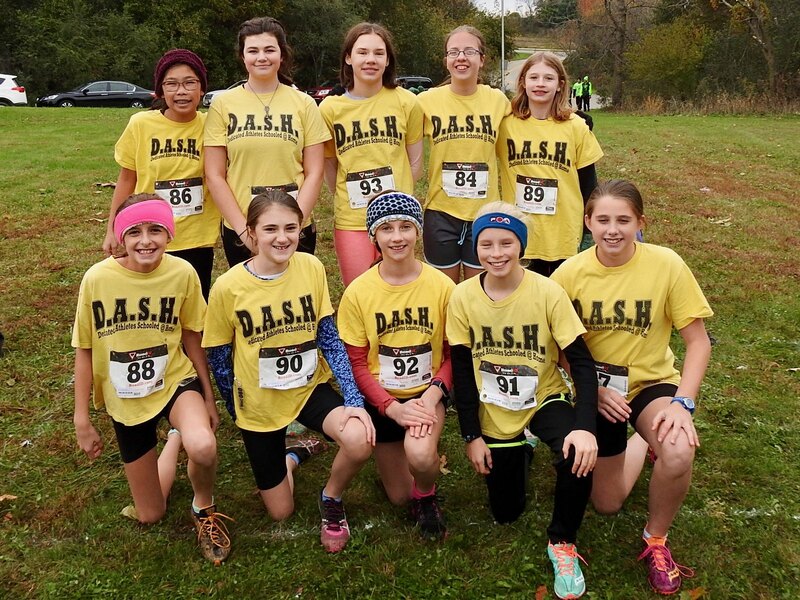 Amelie Kemmann and Renee Walters cruised to first and third place finishes in the 8th grade girls race, while Jon Fossell looked strong while posting a third place finish. In the 400 meters, without much of a break, our 5th grade duo of Kayla Walters and Mia Wickman raced to 2nd and 3rd place finishes. All the girls ran together in the 1600 meters. 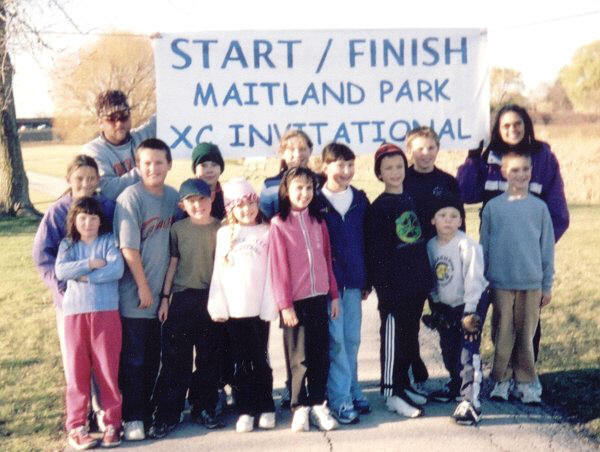 Andrea Kempf was the first 8th grade girl in, with Andrea Beck following her. Faith Caspers led Zipporah Caspers and Abigail Larkin to the finish line all posting good results. Julianna Caspers ran her first DASH track race. The 5-year-old ran as a 6th grader and came in with a time of 7:52 beating several other racers. The boys were next. Ransom Nyhart was impressive again leading from start to finish. Christian LeSac was the second boy in with an impressive showing to win the 7th grade race. Matthew LeSac and Glenn Kaboskey posted good times. The relays are run with two boys and two girls on a team making them a fun change of pace. In the first 4×100 meter race, we had two teams racing against each other in a good battle. The team of Abigail Larkin, Daniel Caspers, Alivia Kempf, and Christopher Fossell prevailed in a close battle against the team of Alexa Dawson, Lief Kostrzewa, Lilly Rogowski, and Joshua LeSac. Our 8th grade team of Matthew LeSac, Andrea Beck, Makayla Gergeni, and Jon Fossell finished 2nd overall and stayed ahead of our other team featuring Glenn Kaboskey, Andrea Guidone, Bekka Homa, and Samuel Zinkgraf. The last event of the day was the 4×400 meter relay. 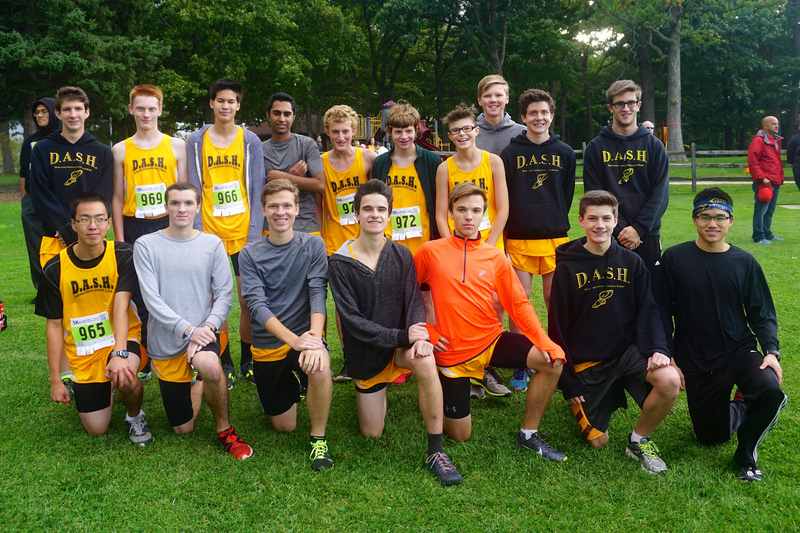 The DASH team capped off its memorable day by finishing 1-2 in this event. Our team of Amelie Kemmann, Ransom Nyhart, Renee Walters, and Matthew LeSac won by about half a lap in an impressive display of racing. Our team of Danny Wickman, Faith Caspers, Zipporah Caspers, and Christian LeSac was also very good with Christian proving too strong in the end for a great 2nd place finish, and first place among 7th graders. Jon Fossell, Samuel Zinkgraf, and Christopher Fossell all won their shot put events giving the DASH team an impressive sweep of the boys events. Renee Walters showed off her muscles with a throw good for third. Amelie Kemmann and Christian LeSac both won their long jump events. Andrea Kempf and Zipporah Caspers were 2nd in the high jump, while Ransom Nyhart completed the day of track and field by winning the high jump, giving him victories in all of his events on his last day of middle school competition. It was then off to Marty’s Pizza to cap off the day of racing. Of course we got some great photos, taken mostly by my wife, the camera lady. Extra special thanks to Greg Kempf and Zeb Caspers for getting volunteered to run the high jump. They did a great job. Thanks also to Brooke Fossell and Kenli Couppee for helping out with the shot put. This team has been fun to write about. I will only have one more chance. The weeks have really gone by fast this season. 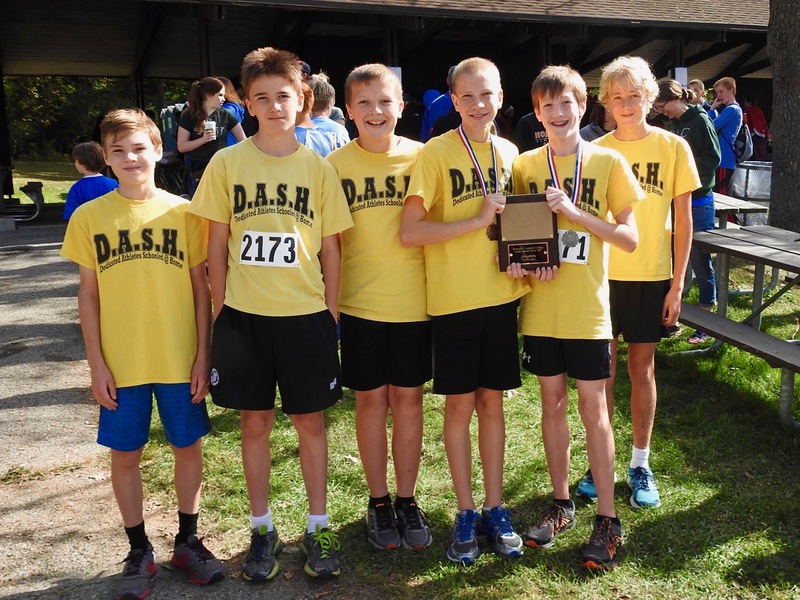 Last weekend the middle school team was finally back in action after a month of practicing, competing in their biggest meet of the season, the Bulldog Dash. This is one of the best teams we have ever fielded, going against competition as difficult as we would face all season. We would have to be at our best to score at this meet. 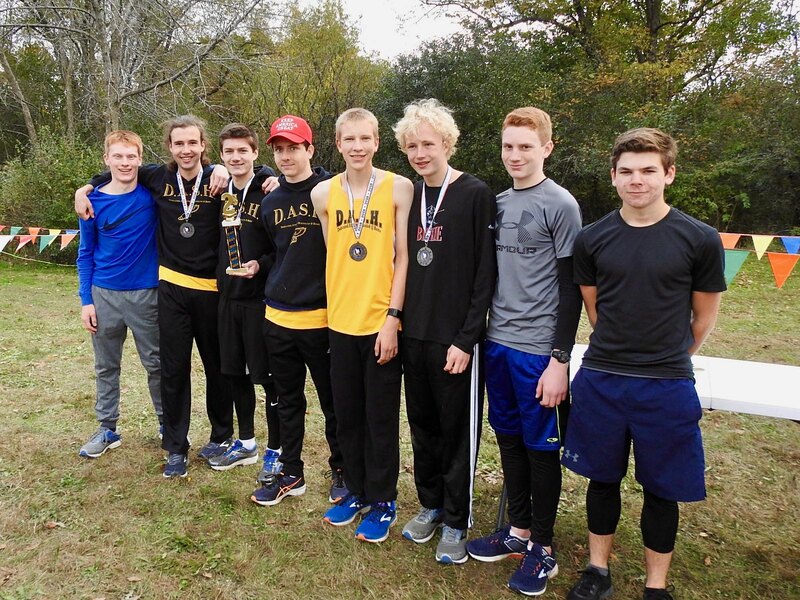 In the end, we met and exceeded expectations, set meet records, set DASH records, set sunburn records, and went home with trophies, medals, ribbons, and smiles on our faces. The meet started on Friday night. Jon Fossell won the shot put, as usual, with a throw of over 38 feet. Andrea Kempf set a DASH record with a 4’5″ high jump, with Zipporah Caspers also scoring. In the 200 meter prelims, the DASH team had newcomer Andrea Guidone running in her first meet. She won her heat, but she just missed out on the final. That was not the case for Amelie Kemmann who won her heat by a large margin. Makayla Gergeni looked great in her 200, but she also just missed the final. Danny Wickman was the surprise of the night, impressing everyone with his speed to give the DASH team two athletes in the 200 meter finals. 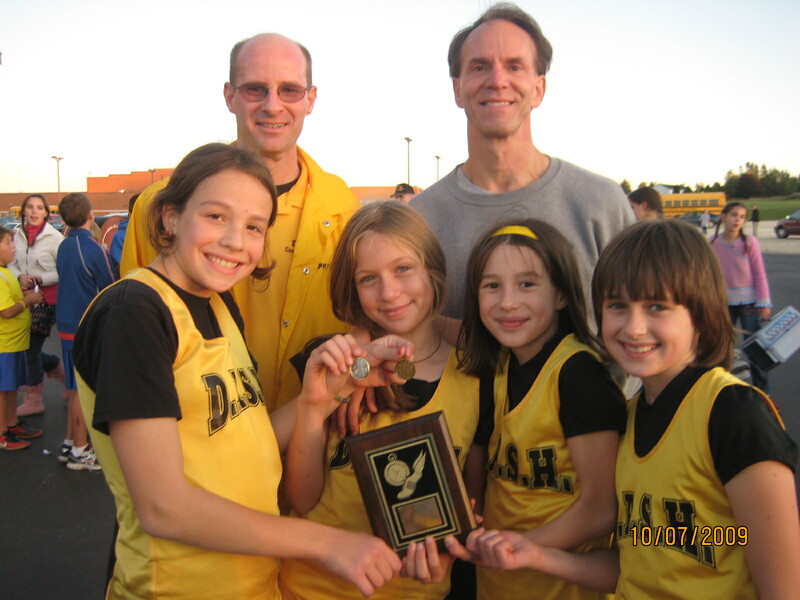 The 800 meters was next, historically the DASH team’s best event. Faith Caspers, Abigail Larkin, and Lucretia Nyhart all won ribbons. 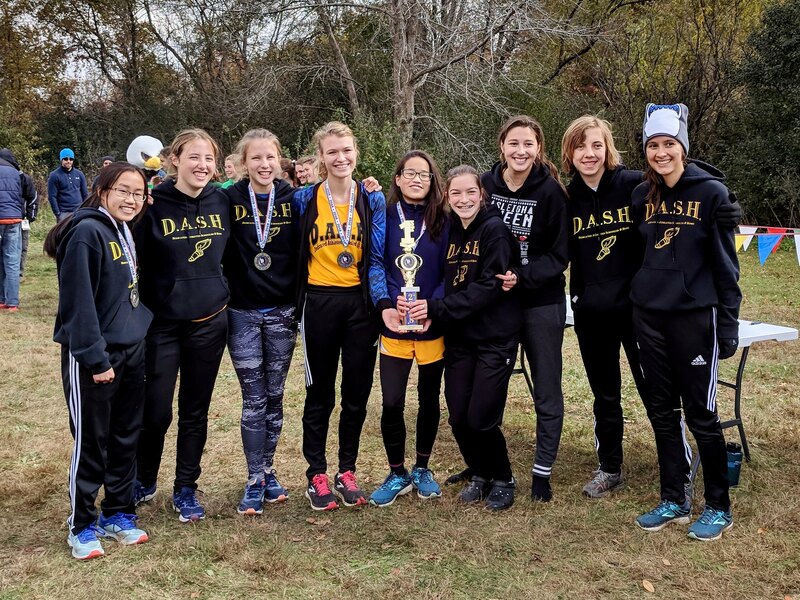 In the 8th grade race, Sarah Klapak and Andrea Beck got out to the lead and stayed there the whole way to give the DASH team an amazing 1-2 finish, with Sarah breaking the meet record. In the 8th grade boys race, Ransom Nyhart and Matthew LeSac put up impressive numbers themselves to finish in the scoring. And in the most exciting race of the night, Christian LeSac came from behind in a fantastic display of racing, passing three people in the last lap, to capture the 7th grade first place ribbon. We were back early Saturday morning. At the coaches meeting the buzz was about how two 8th grade girls had broken the meet record in the 200 prelims the night before. Of course one of the girls was our own Amelie Kemmann. More on that much anticipated race later. First up was the 100 meter prelims. Andrea Guidone was not to be disappointed this time as she raced her way to the finals as did Amelie Kemmann. In the 4×400 relay, our 5th grade girls team of Kayla Walters, Grace Zinkgraf, Abigail Larkin, and Faith Caspers ran to a 3rd place finish. 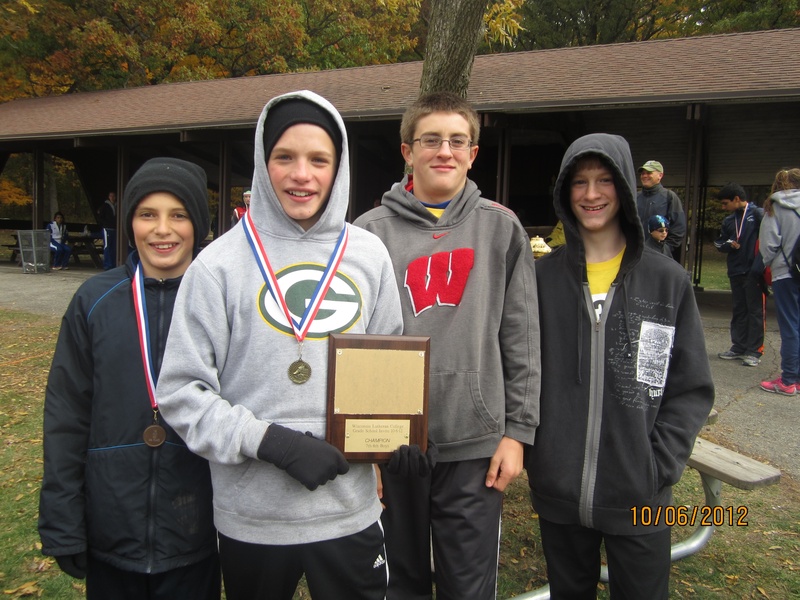 The 8th grade boys team of Christian LeSac, Danny Wickman, Samuel Zinkgraf, and Matthew LeSac also looked good. Our very talented 8th grade girls team of Sarah Klapak, Andrea Beck, Andrea Kempf, and Amelie Kemmann was destined to break the meet record. How low would the record go was to be determined. Our dream team came in way ahead of the field to break the record by 16 seconds with a time of 4:31! In the cross country mile, our own Andrea Kempf took the lead early and kept it until the end for another DASH victory. Andrea Beck, Lucretia Nyhart, Faith Caspers, and Abigail Larkin also clocked in with great races. Matthew LeSac ran fast to stay ahead of brother Christian LeSac in the boys cross country mile. Glenn Kaboskey and Daniel Caspers also looked good. In the 800 meter medley relay, the 5th grade team of Alivia Kempf, Grace Zinkgraf, Mia Wickman, and Kayla Walters ran fast enough to get the fifth place ribbons. In the 200 meter final, new DASH star Danny Wickman moved up to 6th overall. It was now time for the 8th grade girls 200 meter final where Amelie Kemmann and Milwaukee Montessori’s sprinter Turquoise Baker were to go head-to-head for the first time this year. Amelie got off to a great start and came around the first turn with a step lead to really get the DASH fans hearts racing. Then Turquoise fought back over the next 40 meters to get the race back to just about even, but Amelie was able to hold off the challenge, and dig deep for just a little extra push, to get her slight lead back and hold it to the finish line. No two girls had ever raced that fast in Bulldog Dash history, and it was Amelie who prevailed in the end to set a new meet record! Andrea Guidone ran in the 100 meter finals, and you would have never known it was her first meet. She is fast. Amelie Kemmann settled for a close second in her 100 meter final to cap off her amazing day. In the 400 meters Kayla Walters and Mia Wickman ran fast just like the coach told them to. Danny Wickman took an impressive 7th place finish to cap a breakout day, and Matthew LeSac had a great surge at the end of his race that almost overtook the leader before settling for a remarkable 2nd place finish. Sarah Klapak was back ready to set another meet record in the 400. She did. That gave her a cool three meet records for the meet. Legendary! 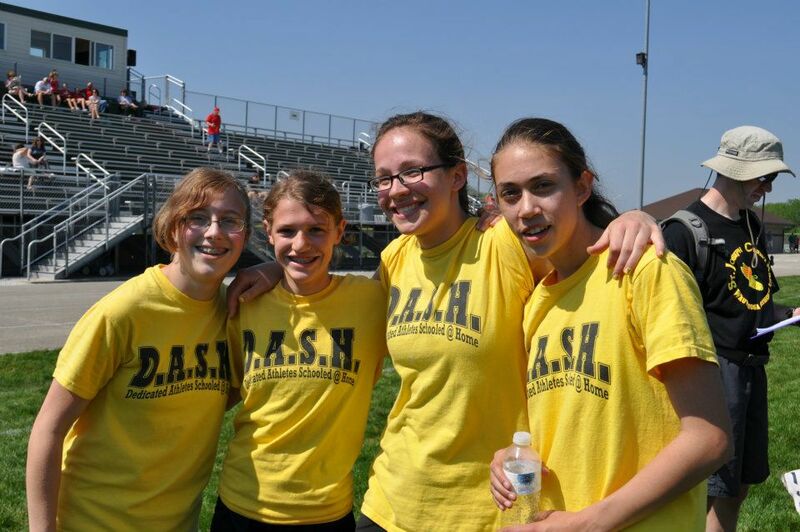 We had one race left, the 8th grade girls 4×100 relay that needs mentioning. The meet was running ahead of schedule and Makayla Gergeni was scheduled to come back a little too late to make the race. 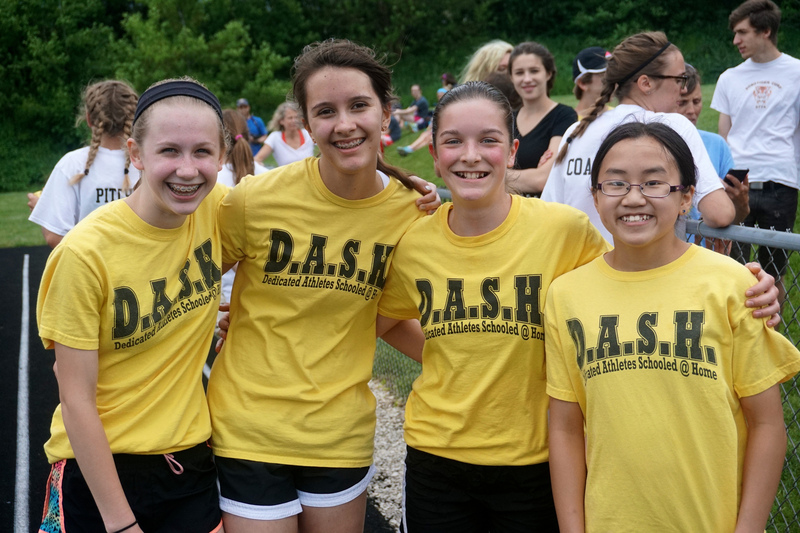 The new team of Andrea Kempf, Bekka Homa, Zipporah Caspers, and Andrea Beck set a new DASH record to cap off a great day of running. 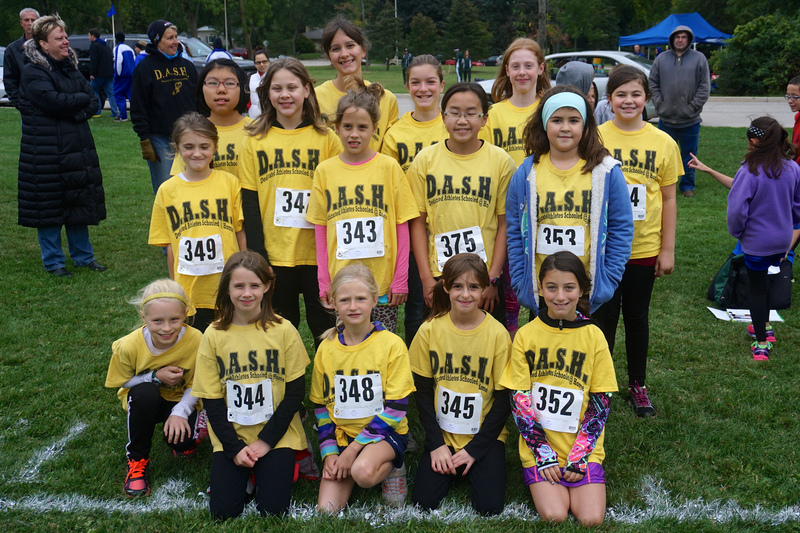 The DASH team also had two athletes running in the pentathlon. Glenn Kaboskey held his own for a good 8th place finish. Renee Walters had an especially good day, taking 2nd in the shot put, 3rd in the long jump, and running fast enough for a 4th place overall finish. In field events on Saturday, Andrea Beck broke her own DASH record in the discus and placed fourth. Sarah Klapak and Faith Caspers impressed in the long jump. When it was all done and the points were counted the DASH team finished in 5th place, behind only the really big teams. We had set four meet records, and had three other first place finishes. It was another amazing day for the DASH team! Of course we got great photos. Thanks go out to our team of photographers, including my wife, George Klapak, Maria Walters, Mary Beck, and Steven Klapak. Special thanks to all who volunteered at the meet: Kenli and Tony Couppee, Ed and Mary Beck, and Jodi LeSac. Thanks to my assistant coaches for this meet who helped me in numerous ways: Ed Beck, George Klapak, and Dawn and Greg Kempf. Thanks always to the parents who brought the athletes ready to compete, and who withstood the long, hot day. It takes a lot of work to make a great team. The work has been put in, and we clearly have a great team. Let’s enjoy it while we can. 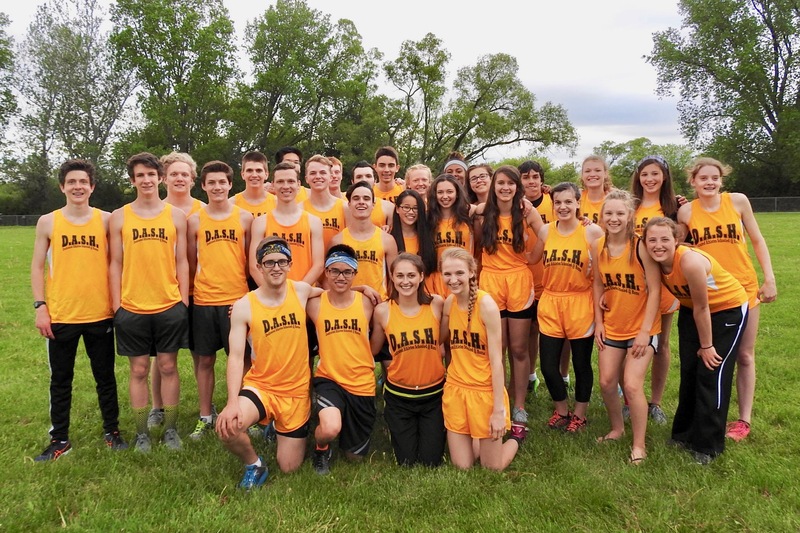 The DASH high school track and field team completed their season last Monday, competing in a triangular meet against Trinity Academy and host team Wisconsin School for the Deaf. We combined with the Homeschool Eagles to help us field our strongest team of the season. Siobhan Heiss was back wearing DASH yellow. Siobhan won the long jump and set a new DASH record in the triple jump to get the day off to a good start. Emily Caspers, Kaitlyn Hillman, and Emily McIntyre finished 2-3-4 in the 1600 meters. Rachel Risum lined up for the 400 meters, and it only took her 1:10 to finish which was good for another DASH record. Ali Hegle also broke the old DASH record finishing in 1:12. Kaitlyn Hillman’s effort was good for 2nd place in the 800 meters. Heidi Jacobsen, with a smile on her face, soaked in the applause for a full eight laps to set a new DASH record in the 3200 meters with Emily Caspers finishing 2nd. Our 4×400 relay team of Siobhan Heiss, Ali Hegle, Heidi Jacobsen, and Rachel Risum just missed the DASH record. Our 4×200 team took a handoff out of the exchange zone to miss out on a victory. Joe Ingersoll prevailed in the high jump once again to get the boys team going. Michael Risum was in the points in the long jump with his 15’7″ jump. A determined Luke Versweyveld broke away early in the 1600 meters to smash his own DASH record with a time of 4:31. Kenny Hillman and Aaron Vogel also put up impressive times to sweep the leaderboard in that event. Joe Ingersoll and Michael Risum went 2-3 in the 400 meters, and Kyle Hillman and Aaron Vogel went 1-2 in the 800 meters. It was Kenny Hillman’s turn to set a DASH record in the 3200 meters. He ran a fast and steady pace to finish in 10:45. Luke Versweyveld and Kyle Hillman were next to finish making it another DASH sweep. Our 4×200 relay team of Daniel Kordik, Zebulon Caspers, Aaron Vogel, and Michael Risum just missed the DASH record finishing second, and our 4×400 team ran unopposed to win that event. The boys finished a strong second to the big WI School for the Deaf team, while our girls finished 3rd, just 3 points behind the winning WI School for the Deaf team. The DQ in the 4×200 relay proved to be the difference. Oh, so close! Thanks to my wife and daughter Zipporah for the photos. Thanks to all the parents and to Eagles coach Pfarr for helping get the athletes to the meet and ready to compete. 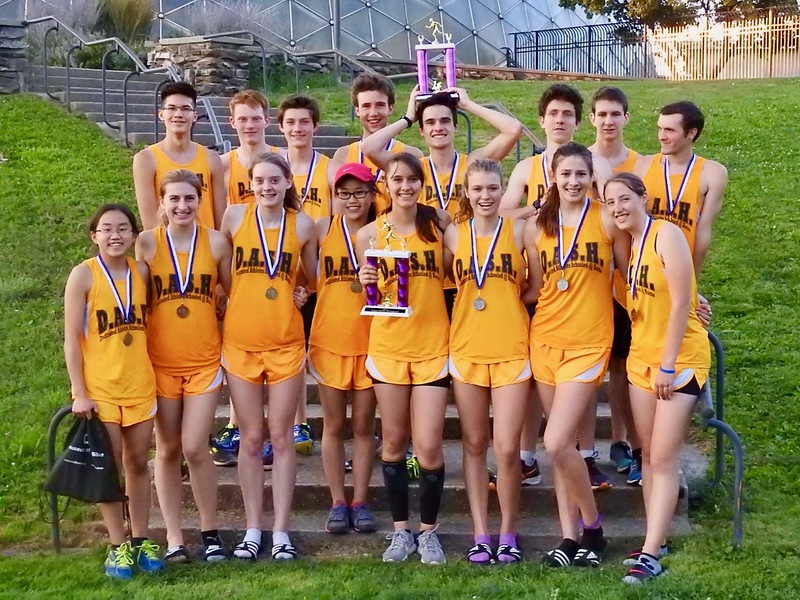 The season was short for the high school team, but it was a very memorable year with many records set. Thanks again to everyone who played a part. 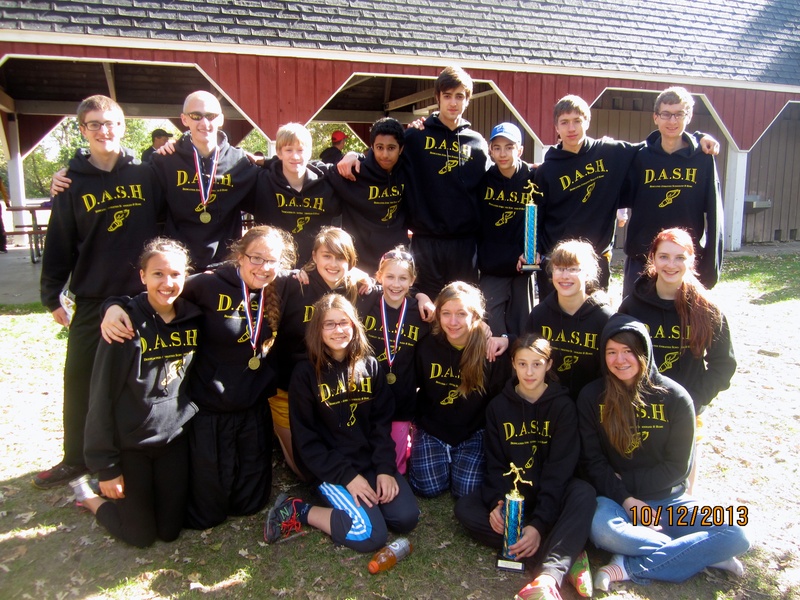 The DASH high school track team was back in action last Tuesday in Oak Creek, competing with four other teams. The meet was a little short on girls as the Oak Creek girls were not there, but the action was still exciting as three DASH records were broken and another tied. Joe Ingersoll started things off by winning the high jump, equaling his own DASH record of 5’8″. Unfortunately for Joe, he came down on the bar hard in his last attempt that would later keep him out of his 200 meter run. Joe was able to run in the 100 meters. He stayed near the leaders in the varsity heat to set a DASH record, going under 12 seconds! Zeb Caspers and Micah Kordik went head-to-head again in the 100 meters. Zeb was able to edge out Micah this time in another close race. Luke Versweyveld was next. Luke got out ahead early in the 1600 meter race, a lead he would not relinquish, breaking his own DASH record with a time of 4:47! Emily Caspers was the lone girl in the 1600 meter race to chalk up yet another DASH victory. Luke lined up again to run the 800 meters. In a close battle for 2nd, he prevailed in the end, and yes, he obliterated another DASH record with a time of 2:07. Kristen Ulfeng and Emily Caspers raced in the same heat in the 200 meters with Kristin showing off her speed to keep ahead. 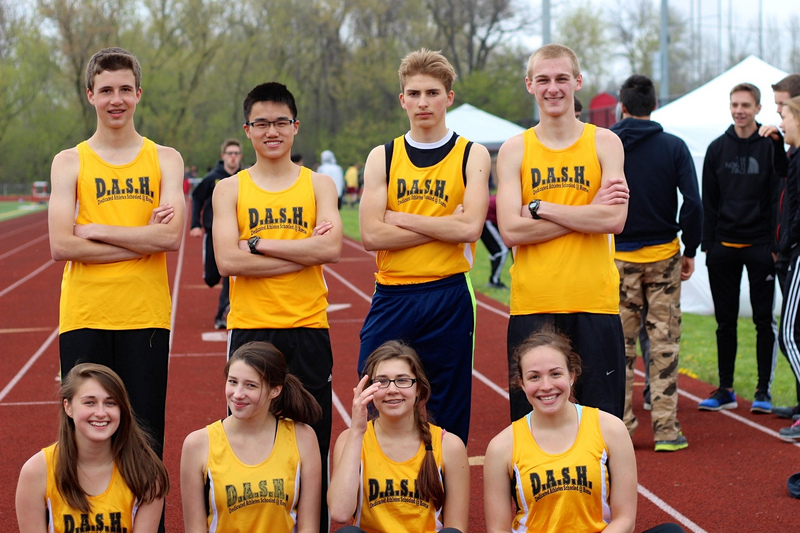 The DASH high school track and field team was in action yesterday at Shoreland Lutheran. It was to be the first high school track meet for four of our five athletes in competition, so we were bound to take our lumps. We did, but we also put up some good results on the day making it a good experience for everyone involved. Zeb Caspers had a good showing in the high jump. He topped out at 4’8″ in his first try at that event which was good for 3rd place. Zeb ran head-to-head with Micah Kordik in the 100 meters. Micah had that little extra at the end to edge out Zeb. Micah looked even more impressive at the 200 meters. Daniel Kordik got the DASH fans excited, getting out to a nice lead in the 1600 meters before finally settling for a 2nd place finish with a good time of 5:52. For the girls, Kristin Ulfeng impressed the coach with her speed in the 400 meters. 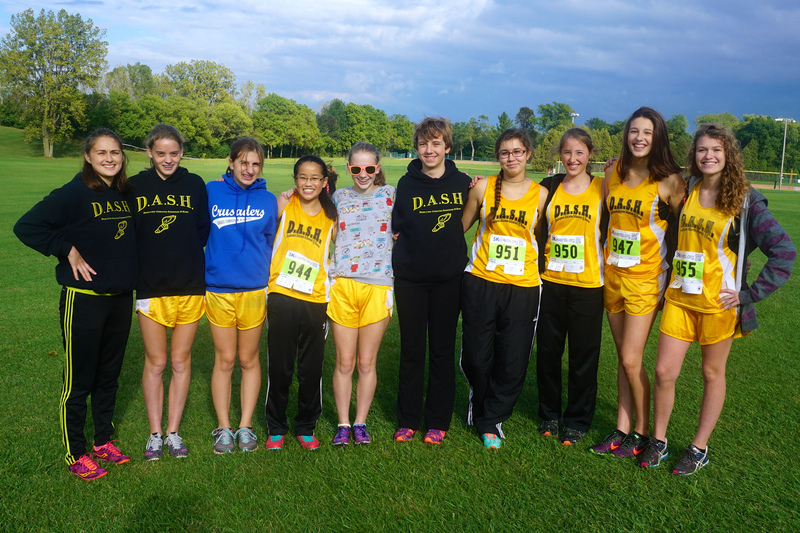 DASH veteran Emily Caspers logged the most mileage of the day, running the 800, 1600, and 3200 meter races. She had the crowd on their feet as she finished the last lap of her solo effort, and victory, in the 3200 meter race. It was a great way to end another day of DASH racing! Thanks to Zipporah Caspers for getting some great photos. 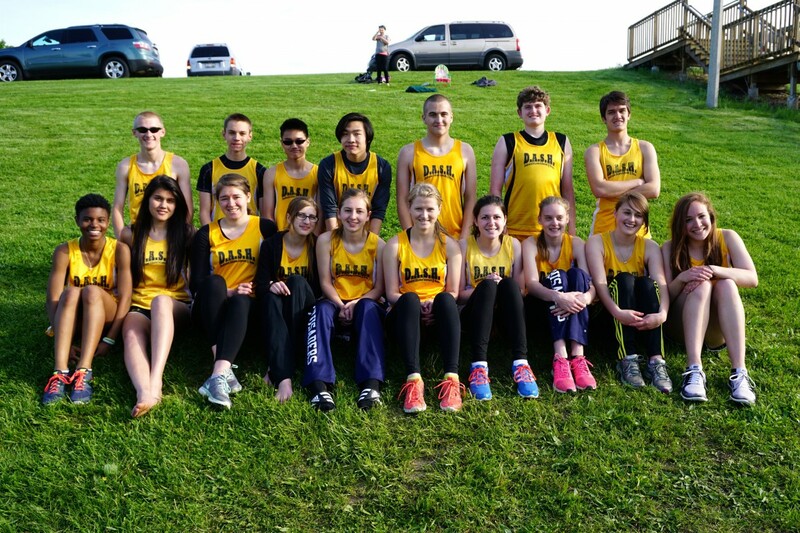 The high school team will be back in action again next week in Oak Creek. I hope to see you there.